In addition to beautiful beaches, great food, and upscale shopping, Playa del Carmen is known for its tantalizing nightlife. 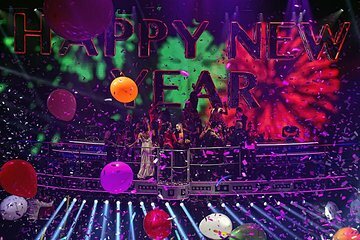 Celebrate New Year’s Eve Vegas-style with a Mexican twist at this over-the-top club night featuring aerial shows, musical performances, stunts, acrobats, and more. You can also take advantage of a full open bar with premium liquors (included) until 4 a.m.